A new survey from Which? has identified the best and worst energy suppliers for answering customers calls quickly. In research involving 16 separate suppliers, the consumer watchdog found npower was by far the worst company for answering calls - with the average waiting time a staggering 17 minutes and fives seconds. On the other hand, Ebico - which bills itself as the UK's only not-for-profit- energy supplier - had the fastest average time to pick up a customers call at 21 seconds. Which? executive director, Richard Lloyd, said: "If energy companies want to restore trust in the industry they must work harder to make people feel confident that customer service is a top priority, and stop putting sales over service." Other companies - aside from Ebico - quick on the draw were The Co-operative Energy at 39 seconds, Ecotricity at 53 seconds and Sainsbury's Energy at 56 seconds. 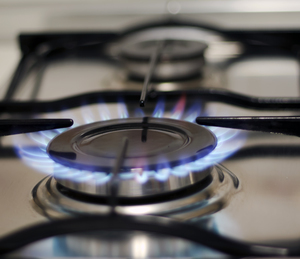 Only one 'Big Six' energy provider, EDF Energy, answered a call in an average of less than two minutes of waiting time. Along with npower, where one call took almost 30 minutes to connect, other slowcoaches included First Utility at six minutes 13 seconds and Spark Energy at six minutes 30 seconds. A spokesman for npower defended the firm's slowness in answering customer calls. Pointing out the study was conducted in April when the firm received 'abnormally high calls as there was set to be a temporary closure of a number of npower call centres, he said: "Since April, we've recruited an additional 150 people in our contact centres and our average call waiting time in May was under two minutes." Which? used findings from a previous investigation to also conclude energy companies are actually slower to pick up calls from current customers than potential new ones. It also said energy firms received more than 60 million calls a year to their customer service departments, with three in ten customers telling Which? being left on hold was one of their biggest grievances about calling their energy supplier. Which? eventually hopes all energy firms will answer customer calls within a two minute period. Many of the energy suppliers surveyed are also participating in the government's Green Deal. Under the scheme energy consumers can receive loans towards energy improvement measures such as a new boiler or wall and loft insulation.